Happy 2017, y’all! I hope this year will bring relief from all your bladder issues – keep on learning and searching! In today’s post I would like to address something that I personally have been messing around with in the past month. 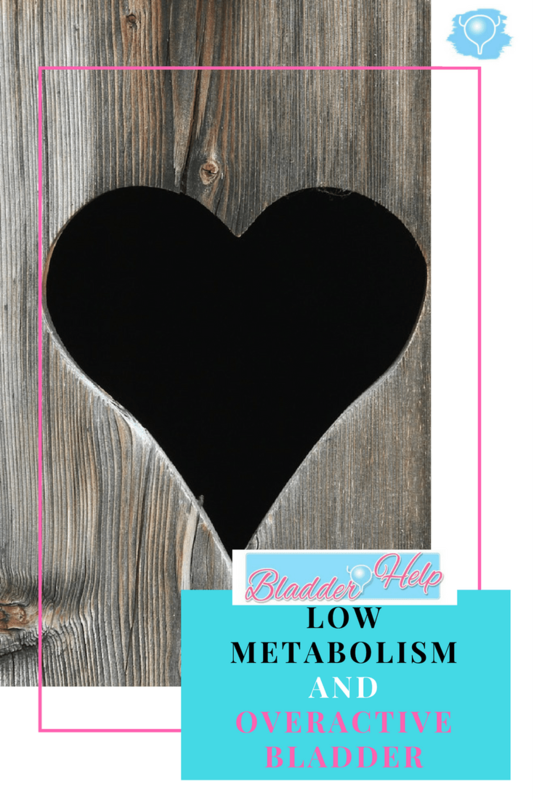 It is the connection between low metabolism and overactive bladder. This post is based more on my own experience and the work of Matt Stone from 180Degree Health rather than scientific studies. I have experienced overactive bladder (OAB) for most of my life. Not with a great deal of urgency, but having to go little and often and having to get up at night to go. It was worst when I still had interstitial cystitis but it didn’t quite resolve afterwards. But then I came across the book ‘Eat for Heat’ in which independent health researcher Matt Stone points out that urinary frequency with clear urine that is often coupled with cold hands and feet, low body temperature, trouble sleeping and perhaps hypothyroidism is potentially a sign for a low metabolism. All the fluid in our body that is not inside cells is called interstitial fluid (or extracellular fluid). This includes blood and lymph. Typically, this will be around 15 litres. It also contains the main positively charged electrolytes sodium, potassium and calcium. Children have the highest volume of interstitial fluid in relation to body weight. As we age, the volume of interstitial fluid drops – and so does the blood volume. Typically we will also see a drop in body temperature and metabolism. As a result, blood circulation may decrease with the potential result of cold hands and feet and dry skin. With reduced blood volume probably comes a weakened blood concentration (and weakened interstitial fluid). This means that electrolytes are too diluted. We need electrolytes to pass on electrical signals in the body – and reduced signals may lead to reduced function. This may cause the drop in blood volume. According to Matt Stone, urine is the most outwardly sign of weakened blood concentration. The more concentrated the interstitial fluid is, the more concentrated the urine will probably be. Moreover, if interstitial fluid and blood become too diluted, the body would probably try to increase its concentration by getting rid of fluids. Hence the need to urinate frequently. The prevailing message nowadays is that we need to eat less salt and drink lots and lots of water (probably due to the rising levels of high blood pressure and cardiovascular disease). Whilst dehydration and too much sodium in bodily fluids can cause an array of ill effects and should be avoided, so does over-hydration or over-dilution of body fluids (interstitial fluid and blood). In fact, over-dilution can even be fatal, causing a condition called ‘hyponatraemia’ in which the brain swells up – all because sodium levels are too diluted. Before becoming fatal, however, over-dilution could cause many other non-specific symptoms such as irritability, drowsiness, headache, thirst, nausea, cramping and so on. With diluted electrolytes, bodily functions would probably slow down. As mentioned above, the body would probably try to restore homeostasis (balance) by excreting excess fluid through urine. In my case, urinary urgency and frequency pretty much always went hand in hand with cold hands and feet, clear urine, difficulties falling asleep, anxiety and sometimes dizziness. And that even though I wasn’t drinking huge amounts. When I first started getting into health, I tried to follow mainstream advice about water consumption – I’d try to guzzle down lots of water without feeling thirsty. I found it extremely hard. I’d get heartburn and would pretty much have to spend my day on the toilet. So I stopped this practice and followed my thirst more but the frequency issue didn’t start to resolve until I followed some of Matt Stone’s advice. The most obvious sign of fluid dilution is the concentration of urine, which we can see in its colour. All animals have yellow pee and so should we probably as well (you can read all about the colour of urine in this article). In my case, clear urine goes hand in hand with increased frequency, coldness and anxiety. Another way to measure this would be to use a refractometer. Between 3-7.5 brix is probably what we should aim for (‘normal’). Anything lower would indicate over-dilution and anything higher dehydration. If you experience the issues described above I’d urge you to read Matt Stone’s book ‘Eat for Heat’ for a detailed description and plan. For me personally I had to stop consuming any fluids apart from the ones present in my food in order to start feeling warm and decreasing the urgency to urinate. However, as these improve we will need more fluids so we should always watch for signs of over-concentration (headache, heavy pulse, feeling too hot). That’s it for now. Let me know if you’ve experienced any of these issues in the comments! I have to eat a lot of salt for my POTS, so it sounds like I’m on the right track to avoid overdilution of my body fluids! Interesting! I’ve never heard of this condition before…some of the symptoms sound similar to what I was experiencing when my metabolism was super low (dizziness etc). Wish I had read this before I had my botox. Will research more….. thanks,x.